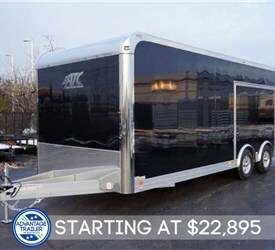 As the largest dealer of ATC trailers, we offer the best solutions for transporting your expensive vehicles across the world. 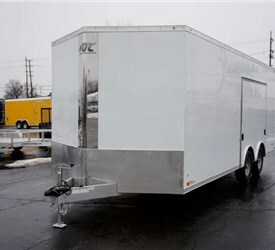 The professional staff at Advantage has worked on thousands of aluminum car trailers, designing and fabricating each to perfection. 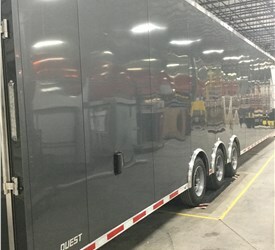 Throughout the years, we’ve produced automobile haulers of all types; using cutting-edge tools to custom create or modify the equipment you need. 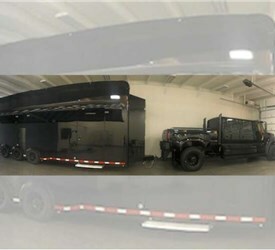 Whether you need to transport one car or several, we can build a solution that will allow you to get the job done. 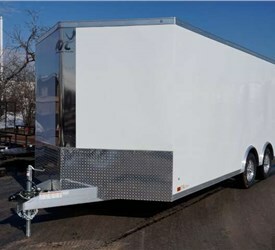 To ensure the protection of your vehicles, we reinforce the interior and exterior of your aluminum car trailer. 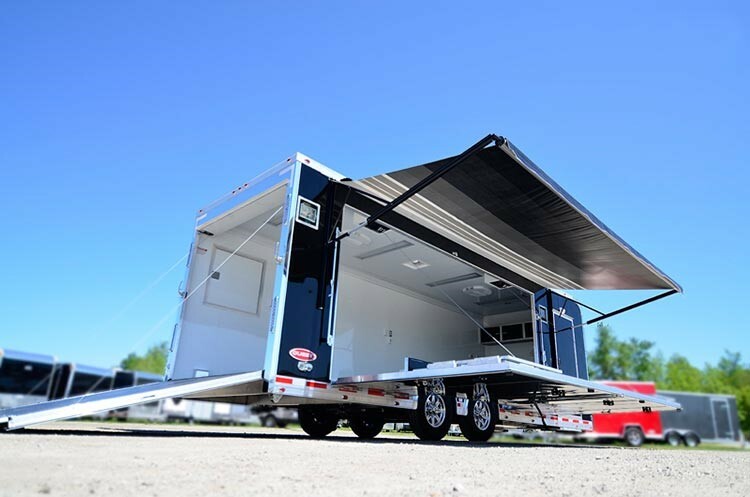 If requested, we will deck out the interior of your trailer to be as comfortable as your living room. 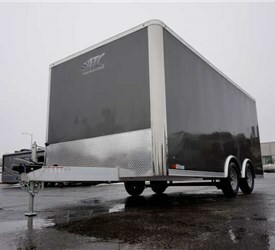 Whether you’re traveling through pouring rain or heavy snow, your rig will hold up and shelter your automobiles from the conditions. 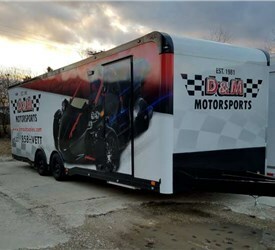 If you’re looking to show off your rides, our experts can design glass side display trailers that will keep your cars safe while showcasing them to the world. 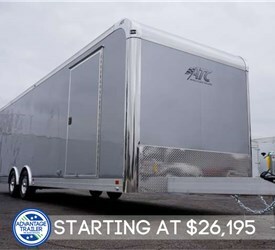 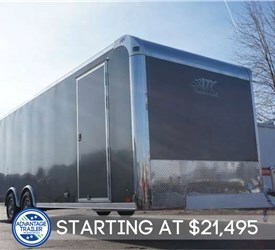 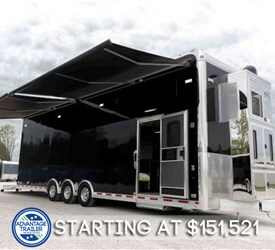 Before we get started on your aluminum motorsports trailer, we pair you with our trained, talented designers and fabricators. 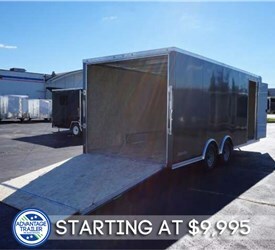 They will listen to your exact specifications and custom create a rig worthy of transporting your expensive cargo. 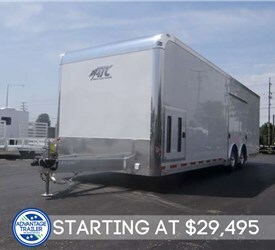 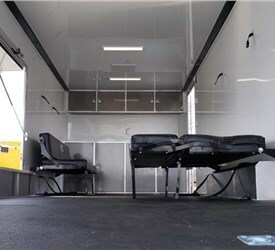 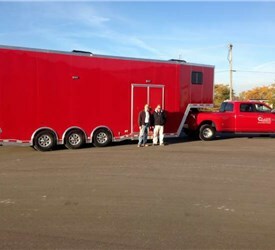 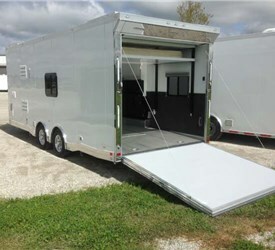 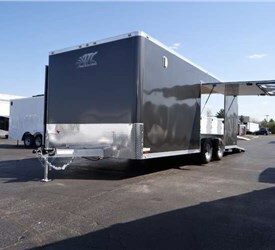 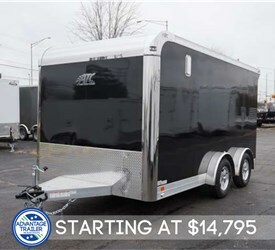 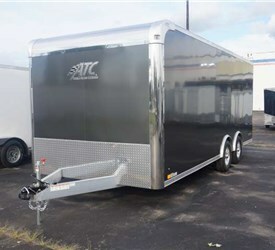 When it comes to top-quality aluminum car trailers and haulers, Advantage Trailer is the gold standard in the industry.